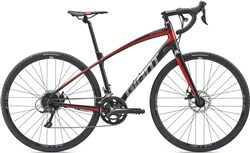 Ready to ride on pretty much anything, the Giant AnyRoad 1 road bike is ultra versatile with a lightweight yet durable frame, powerful disc brakes and comfort boosting features. The AnyRoad 1 gravel bike is built around a lightweight, strong and stiff aluminium frame for fast and fun rides. A tall headtube and increased stand-over clearance puts you into a comfortable and confident riding position for smooth handling on variable terrain. Comfort features such as a D-Fuse seatpost and composite bladed fork help absorb the shock of riding, keeping your muscles feeling fresher for longer. 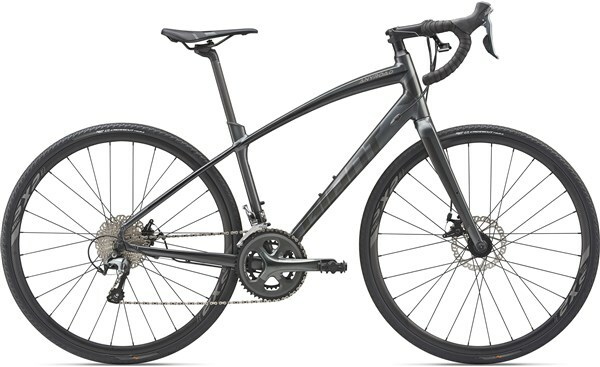 Powerful disc brakes let you explore new roads, paths and trails with more confidence. 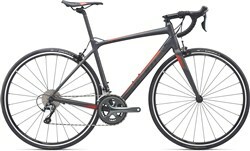 Equipped is a 2x10 speed Shimano Tiagra drivetrain with a wide range of gears to tackle climbs. Rounding off the AnyRoad 1 are quality Giant S-X2 rims, wrapped in wide 32mm tyres with puncture protection for hassle free riding. 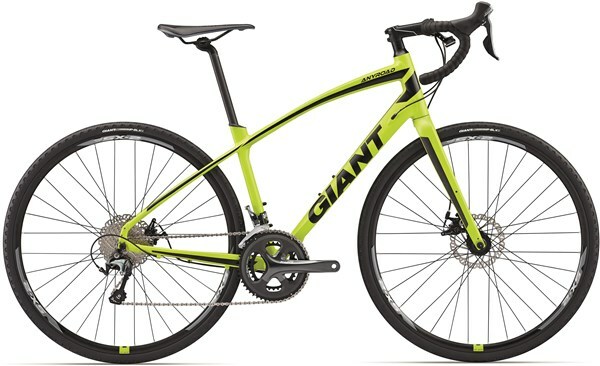 More than just a gravel bike, the Giant AnyRoad 1 is ready to explore. I bought the 2017 Anyroad 1 in end of season sale. Great value. Delivered quickly by Tredz, checked and almost completely built. Just the pedals to add. I ride a variety of roads, cycle paths, bridal ways and canal paths. The bike has been ideal, great ride on all surfaces. Except mud, of course. Not great if you are of a certain age. Wannabe cyclists need to put the effort in to keep up.